RunningwScissorsStamper: Is My Card Plane? I saw the ColourQ challenge this week, and there was mention of how hard the color combo was, so I took that challenge on. 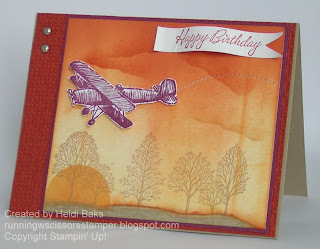 And, sad to say, I was in a hurry, which means my card turned out not-so-good. Perhaps it will inspired someone to do a better job? 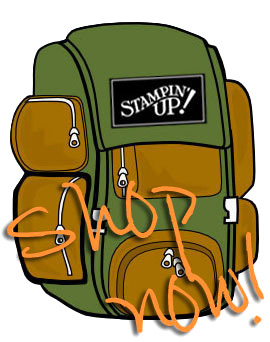 In my morning stupor, I let the brayer sit on the cardstock Doh! But I forged on. Hard to see, but I added some stitching behind the plane. 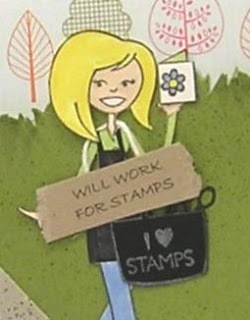 Stamps: Plane & Simple, Lovely as a Tree, Warmest Regards; Paper: Crumb Cake, Cajun Craze, Rich Razzleberry, Whisper White; Ink: Crumb Cake, Cajun Craze, Rich Razzleberry, Peach Parfait; Accessories: Brayer, Sponges, Brads, Square Lattice embossing folder, Petal Cone die, Big Shot, Sewing machine, Thread, Dimensionals. Now go show me you can do it better! :) Thanks for stopping by! I beg to differ! I think your card is stunning! Love that orange sky! Great use of the challenge colours! 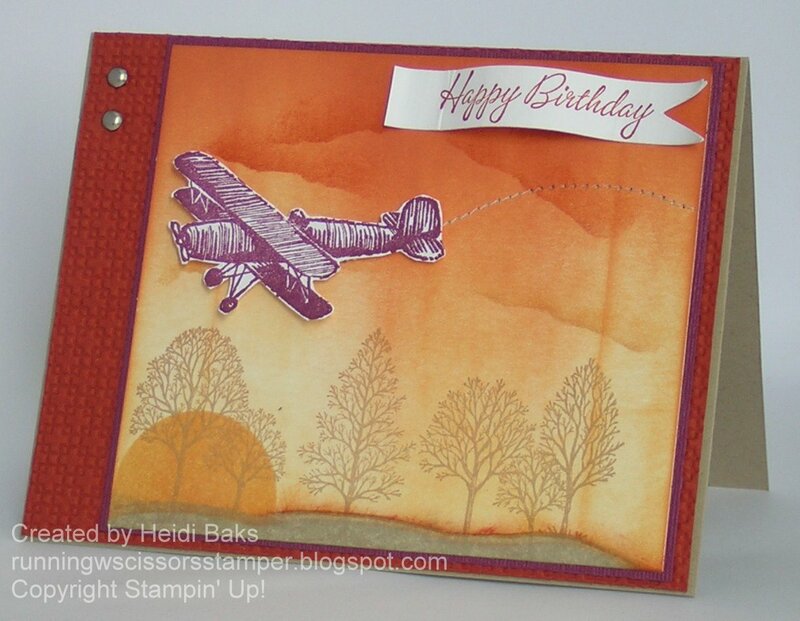 This is a beautiful card, Heidi! I think you are selling this card short. Thanks for playing the ColourQ again this week. This is awesome!! What a fabulous use of the colors! Thanks for playing at ColourQ! There's nothing wrong with it, really. I love the sky! I love this card! It works wonderfully! I didn't think I needed this set, but I've been seeing some great things done with it... sigh! This is a great card. I really like the layers you invoke with the ink. Thanks for playing with use at the ColourQ! 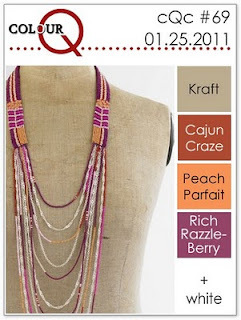 Well, I think this is quite unique and a great different way to use these colors....they certainly do remind one of a sunset! Thanks for playing with us at the CQC this week!